Iran’s President Hassan Rouhani warned the United States not to “play with the lion’s tail” on Sunday, saying that conflict with Iran would be the “mother of all wars”. Addressing his US counterpart Donald Trump, Rouhani said: “You declare war and then you speak of wanting to support the Iranian people. “You cannot provoke the Iranian people against their own security and interests,” he said in a televised speech at a gathering of Iranian diplomats in Tehran. “We have always guaranteed the security of this strait. Do not play with the lion’s tail, you will regret it forever,” he said. 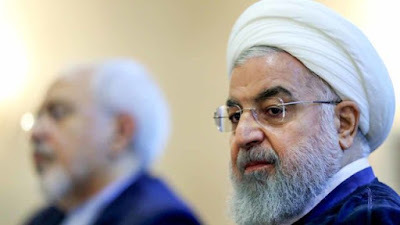 Rouhani spoke ahead of a much-trailed speech by US Secretary of State Mike Pompeo later Sunday, seen as part of Washington’s efforts to foment unrest against the Islamic government in Iran. “Whenever Europe has sought an agreement with us, the White House has sown discord,” Rouhani said.